At the end of last week I was informed by EHDC that a pre application meeting had just taken place with Taylor Wimpey. This is for a SHLAA site we have not been aware of development interest in before and is on land the developer is describing as ‘Land Off Chalk Hill Lane’. This is a fenced off area adjacent to land we know as Trickets Field (Horndean Showground). This time Taylor Wimpey have spent considerable time preparing their plans to such an advanced stage that they expect to submit an outline application at the end of October, just 8 or 9 weeks time. It might seem that the very public and controversial application at White Dirt Farm may have left them feeling that minimum public exposure was best for them. The proposals are for 73 units of which 30 would be affordable housing. Access is proposed to be via Chalk Hill Road and Highcroft Lane. The development plans border Bentley Close, Highcroft Lane, Chalk Hill Road and Catherington Lith Nature Reserve. The design would leave the risk of further development along the field. Taylor Wimpey advise they will be holding a public consultation for interested parties. The date and venue is still to be confirmed, but it is expected to be around the 22nd or 23rd September. This time they are making a concerted effort to meet with the Parish Council as well. The landscape of this site is key to the area with views of the 11th century church, extensive views across the south of Hampshire including the Solent from Hayling Island to Fawley and the Isle of Wight. These would be lost. As with White Dirt Farm this land is also Gap Land which Councillors fought to have protected in earlier versions of the local plan. It is worrying that this is another development in Gap Land, and on another site that the public consultation (LIPS) identified as having very little public support for development. A copy of the plan for the site is shown below. As a reminder I can not enter into debate or express views about the applications in my ward as I sit on the planning committee at EHDC, and to do so would jeopardise my position on the committee. At this time I have 5 major applications for 40 or more homes in both Lovedean and Catherington. I am keen to hear your comments on sara.schillemore@easthants.gov.uk but due to the extreme volume of applications and emails please forgive me if I can not respond with anywhere near the detail I would like to. Hi Paul, I couldn’t agree more!!! Again, another site where any further traffic will not be good news. This area (I lived in Highcroft Lane until 1999) has seen much development, in the form of housing, since the mid-’90s. Five heads Road (which has also seen much development, and into which this proposed development would feed) is mostly very narrow. Catherington, including Catherington Lith are not far away. It must be said, again, that building on fields a risky business, as once done they can’t be reinstated. My short response is same as Mr Lougher’s! I live in Five Heads Rd and my concern is the traffic which this will create.. We have notice the increase in traffic since moving here 12 years ago. The appeal of the location was that it is semi rural. This is gradually being lost and speeding cars replacing the quiet idle. Please allow me to introduce myself, I am Vincent Gregory and myself and my family live at 49 Highcroft lane, which sits directly opposite chalk hill road, my main concerns for this proposed site are of the site entrance and disruption we would have to endure for a lengthy time, we purchased this property with our 2 still young children 4 years ago, and terror the thought of now sitting opposite an entrance to a possible road for 75 houses. Highcroft Lane and Durlands Road seem to me to be impossible to be able to support the additional traffic loading’s, and on Five Heads Road, one way is no more than a single country lane and the other you have Horndean Infants and Juniors school, and at opening and closing times, proves to be extremely busy, with a blind bend and an extra to cope with. My further concerns are the loss of green land on the back of Catherington Lithe and the ever more strain on green gap land, we purchased this property with amazing views and with a quiet close, enabling us to bring up our children as safely as possible, and now live with the dread of this development, concerned that public opinion is being ignored and developers pushing upon us buildings with no thought to existing residents and feel of our community. I would be very keen in hearing your thoughts and any advice possible, to enable myself and residents to express our concerns at this proposed site. Thank you for you time and consideration with this matter. I have lived in Lovage Way for over 20 years and walk my dogs around Catherington Lith and surrounding fields every day of the year, I strongly oppose this application, it would be a disaster to lose this beautiful piece of countryside but I also think that the additional traffic created by the development should just make this an absolute no go. Horndean village is severeley congested now, in what way would the are benefit from this additional housing? Hi Lee. Any housing application is developer led. The consultation process prior to an application is the developers responsibility. If carried out well, they have a chance of having an application which is better considered, and more likely to be successful (if it is suitable). It is disappointing that Taylor Wimpey have chosen to keep this very quiet and not include community feedback at the right time (while they are developing their plans). At the moment Taylor Wimpey say they will be holding a public consultation and keep watching here where I will make sure this is well publicised. If they submit an application (they say they will on October) then EHDC has a 13 week consultation process and this gives all residents the opportunity to give their views on whether the scheme should go ahead or not, what their concerns are about the development etc. again, this will be well publicised here. EHDC has to give ‘air time’ to any development. Say you wanted to extend your property, EHDC has no right to stop you considering plans and submitting any application. EHDC can only start to consult, and form a view, when a set of plans have been submitted. For transport, the developer would consult with Hampshire County Council highways officers and others in the run up to making an application to seek their views on the suitability of the road network and access. I personally do not believe Highcroft Lane is suitable to take the added traffic of such a development, particularly Chalk Hill Lane, and this would be a strong reason for residents to oppose. here we go again. Durlands Road, Highcroft Lane, Five Heads Road is surely unsuitable to deal with the amount of traffic this development will generate. Durlands Road is already a car park reducing it to a single lane road. At weekends Five Heads Road is reduin agreeed to a single lane road because of football. Chalk Hill Road is a track. This is another badly thought out plan. The horses that are on this site have already been given two months notice to move. Someone must feel confident that this application will be passed. Surely soneone in Hampshire Highways dept will realise this is an impossible plan for this area. The other thing I dont understand is why is this development called Horndean showground. I thought this is the much larger field which leads to Catherington Church. I am in agreement with the other comments you have received. Hi Rita, thank you for the comment, typically we get too little support from HCC highways who we often disagree with, but access will be a key issue here. I hadn’t heard the horses owners had been given notice. The earliest a planning application would be heard is early February if the got their plans in at the end of October. Optimistic and premature. I think the article describes it as land adjacent to trinkets field which is also known as Horndean Showground by some, but I understand this land does not belong to Jack Trickett. we in this area have just had notification of a meeting at Horndean Football club on Tuesday 23rd Sept 3pm til 7pm. I believe the land for this development is owned by Kevin Heath. Hi Rita, Thanks for the message to let me know, An article has now been posted. Guy. 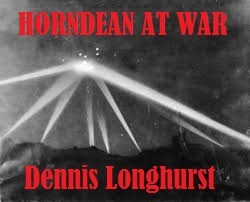 It is my belief that Horndean does not need any more houses. In the 15 years we have lived in Highcroft Lane, we have seen infill developments, gardens sold as building plots and the demolition of larger houses to be replaced by many smaller properties. We have also seen larger scale developments in Five Heads Road, Gales Brewery site, Letcombe Place, Kilderkin Drive and Gales Park. These, together with the 700 house development planned for East of The Village which will straddle Rowlands Castle Road far exceed the requirements of the local area. There is no need for a further development in Chalk Hill Road; the site is wholly inadequate for this amount of new properties. This is a semi-rural area and is the reason why most people have moved here. It must be protected from speculative developers chancing their arm and trying to make a quick buck. The loss of more green space, country views and wildlife habitats is unacceptable when all the previous and current developments are taken into account. The roads do not have the capacity to cope with the present level of traffic movements, let alone the increase generated by 73 extra dwellings. The roads that connect with 5 Heads Road: Highcroft Lane, Durlands Road and Tarbery Crescent are even now very busy with parking already becoming a problem at certain times. 5 Heads Road itself, is being swamped by the traffic generated from the latest developments such as Farmer’s way and the extra traffic and parking all down one side of the road next the park on Saturday’s and Sunday’s due to the many football games scheduled each weekend. This reduces the road to a single lane for the whole length of the park and beyond affording no line of sight when exiting Durlands Road. At one end 5 Heads Road is nothing more than a single-track lane and at the other an extremely busy junction with Merchistoun Road and the A3. Since the opening of the One Stop this area has become very busy, and with the school traffic and the blind corner by the Library it is now a dangerous bottleneck. There is no doubt a shortage of housing in Hampshire exists, and Horndean is required to provide 700 houses which will be satisfied by the development east of the village which has much better road access to main routes. There is therefore no need for any additional housing development in Horndean. Any potential development must, whilst being planned, take into consideration the impact on the lives of the incumbent local population, the need to keep green spaces and retain the area’s identity. This proposal by Taylor Wimpey does none of this and should be rejected. As a local resident I am greatly saddened to hear about Taylor Wimpy’s planning application for Chalk Hill Road. Not only will this remove one of our much loved and used countryside areas (currently being used by some well cared for ponies which are ridden by local children) I am very concerned about the impact the new homes will have on schools, dentists, doctors and the roads. Five Heads Road is already an extremely busy road especially at school pick up and collection times. This applies to both ends of the road with queues going back into Catherington Lane for the private school. Surely the infrastructure of the roads is going to cause more traffic problems, increased traffic noise and more chances of the general public at risk from traffic accidents when people are on foot, bicycle or other non motorised transport. The road does not currently have a footpath down both sides of Five Heads Road. It is particularly dangerous on the corner where the One Stop shop is and the narrow road at the top of Five heads Road which is often used by cycle groups, walkers and horse riders. Personally I feel we should be protecting this beautiful piece of land and the wonderful views it gives towards the church. Please let me know when the meeting is taking place so I can attend. Hi Teresa, thank you for the comment and I fully agree. The consultation date will be published here when I hear. I have also forwarded onto Cllrs Sara Schillemore and Lynn Evans, who are also interested in this application. 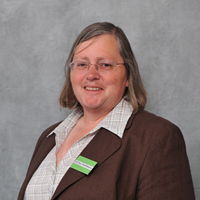 Do you whoever who is your ward councillor? If not let me know your address by direct email and I will confirm to you. Best wishes, Guy. Hi Teresa, New blog article posted with details of the consultation. guy. Thank you very much for all your prompt replies and updates. I have read the new article and shall be attending the meetings. As I live in Five Heads Road I believe I come under Murray Ward? I have asked Elaine Tickell to let me know where and what time next Tuesdays meeting will be taking place. Best wishes and with thanks. Thans Alex for the message to notify me, there is now a post about this for all residents. Best Wishes, Guy. After reading all these comments I have to say I agree with them all. I feel Taylor Wimpeys proposed plan is a absolute disgrace and provides absolutely no benefit or regard to the needs of the residents in the area. I am a mother of two young daughters who attend Horndean Infant and Junior school and witness how congested and busy roads such as Five Heads and Durlands become during school hours and they simple can’t cope with any additional vehicles. As a resident of Highcroft Lane I walk my daughters to school and feel that the extra traffic and impact on our road would be just plain dangerous. The pavements and roads in Highcroft Land and Five heads are so narrow many vehicles are forced to park on pavements and pedestrians are forced to walk in roads. The area simply can’t cope with any additional traffic. Another major concern would be the impact on the schools, both schools currently have waiting lists and can’t cater for the amount of pupils wanting to attend already. Another example of Horndean already being pushed to it’s limits by developers and local facilities under great strain as a result. Horndean has already suffered a great deal and I feel we’re slowly losing so much lovely countryside and views and it’s existing residents paying the price. If this development does go ahead it would be such a loss for all the local residents. I totally agree with all the above comments regarding the chalk hill development, I am horrified to learn of this news. My father in law built our house and theirs which backs onto the bottom of the proposed site and the thought of the noise and possible increased foot traffic through the small foot path which runs right outside ours and neighbouring property is upsetting. We moved in 12 years ago to live in a quiet secluded area of Horndean surrounded by fields and Ancient Woodland and an abundance of wildlife, deer,foxes field mice and badgers even owls and bats what about them? We have already seen a decrease in deer due to the new houses built over along Five heads Road what’s going to happen to them now. I know we have bats in the area as I’ve actually had one in the house at night. That field is used daily by dog walkers and walking groups and currently the safe haven for horses. I for one do not want to see this land developed. Hi Guy, thank you for your previous response – having now arrived home from work (7pm) I have also found a card (looks like a junk mail flyer) from Taylor Wimpey addressed to the Resident – I wonder if it has been sent to all the residents on the roads mentioned before (happy to scan the card and forward to your email if you would like). As stated by others the ‘public consultation event’ – as stated on the Taylor Wimpy web site, will be between 3pm to 7pm on a Tuesday (not exactly suitable for people who work) – maybe this approach answers the question in your other blog about the so called public consultation they did for White Dirt Lane. If you happen to go to their website you can already register your interest in a new home for this proposed site ! (taylorwimpey/chalkhillroad) – so based on the wording of the flyer, material on their web site, and I expect the material they will have at the ‘public consultation’ they are presenting this as a fait accompli. On their web site on the overview it states following this public consultation a planning application will be submitted to EHDC, a few lines later it states Planning application has now been submitted (I searched EHDC planning for Chalk Hill Road but found nothing). Appreciate your attention to this matter, and look forward to any advice or assistance you or your colleagues maybe able to provide to the current residents in this community. Just because we are outside the South Downs National Park it does not mean we should lose our green fields which are just as important for the wildlife and the environment. PS. just for the record I am going to take time off work just so that I can attend this ‘public consultation’ to hear what they have to say and register my views (for what its worth). Hi Teresa, if you are south of the entrance to Tricketts Field you are in Murray Ward, yes. The parish meeting is just for Parish Councillors, and is where they can give clear feedback. At public consultations they are often unable to speak to the developer due to large numbers of visitors and residents needing guidance. They would usually attend both events. Guy. Thank you very much for confirming Tuesday’s meeting is for councillors only. For the many reasons already identified local roads are already congested and, at times, saturated beyond capacity. I find it difficult to conceive that Hampshire County Council Highways Authority consider the local road network and site entrance to be adequate for this development. I also understood that Chalk Hill road was an unadopted private road and if that is the case then the developer would need the agreement of the owners to access the site from that road. 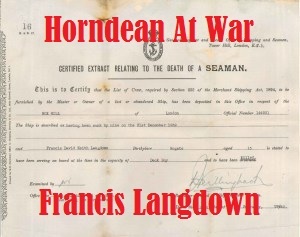 On the broader issue of housing developments in Horndean, E.H.D.C. organised a meeting at Merchistoun Hall on Friday/Saturday 21/22 March when the public were invited to question planning officials and to register their views. The housing requirement allocated to Horndean for the years 2011 to 2028 was listed as 1190 units of which 490 were currently under construction or where planning permission had been granted. This left 700 new units to be built and E.H.D.C. 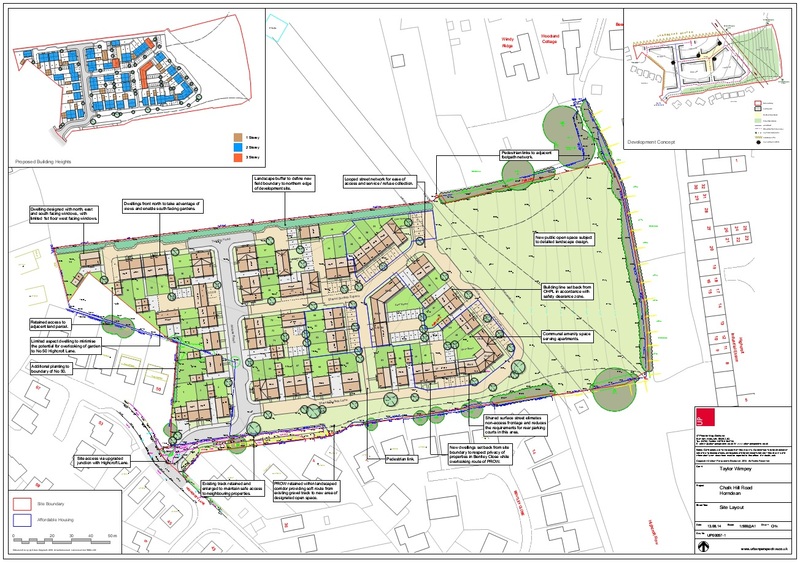 provided a plan of Horndean identifying the potential development sites (each site showing the number of housing units that could be accommodated). Visitors were invited to register their preferences by placing markers on sites they considered most suitable for development. 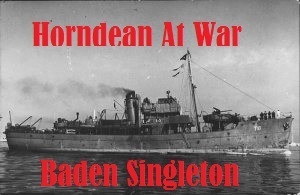 My wife and I attended on the Saturday afternoon and at that time the preferred site by an overwhelming majority of markers was for land east of Horndean which could accommodate the total allocation of 700 units. It is also worth mentioning at the time of our visit no marker at all had been placed on the Chalk Hill road site (albeit the site was then for 150 units covering a larger area) . The consortium of builders for the east of Horndean site held meetings on 25th April and 31st July when their proposals were outlined. These included the 700 new homes, elderly persons accommodation, playing fields, a new school and other community facilities. (their website being http://www.landeastofhorndean.co.uk). Does anyone know how far these proposals have progressed ? If this development went ahead it would negate any large scale development in Horndean. Hi Mike, the Land East Of Horndean application is due to be submitted imminently. They have been chasing bats and this has been a serious issue for them to design in. Once in it can be used as evidence when considering other applications. The Chalk Hill Lane site has not yet been consulted upon. As part of the planning application process HCC would comment on the plans and this may result in a refusal. First step is public consultation. Second step they get an application in. Third step public and formal consultations. We strongly object to the proposed building of 73 homes on the field referred to as “show ground” which to our knowledge in the 42 years that we have been resident, the field opposite has only been used for growing grain crops and in later years haymaking. The access to the 73 homes is to be situated directly opposite our house in Highcroft Lane and it totally unacceptable. The comments by Councillor Guy Shephard are fully endorsed be us regarding the type of house proposed and especially the roads situation with the addition of Durland Road which is not to mention takes considerably large amounts of traffic with services and residence to Highcroft Lane in both directions, and the roads were not made to take this amount of heavy goods, vehicle traffic, and volume of traffic in a narrow lane. The infrastructure of Horndean e.g schools, doctors, and roads especially not considered sufficient to support the proposed building site. Durlands road and Five Heads road is already a chicane with parked vehicles and is used extensively for access to and from two schools situated at either ends if Five Heads Road. Soon we will not have any countryside or wild life left in Horndean it is all gradually being taken over and eroded, and also in the winter time the field opposite us is a quagmire and flooded, and the water runs down to Tarbery Cresent and eventually onto the A3 therefore totally unsuitable for dwelling houses with access roads, as the water will flow down which will only exacerbate the situation. We will be attending the Taylor Wimpey exhibition, however we fell the time allocated is not long enough to enable those who are at work to attend the exhibition as it finishes at 7.00pm. 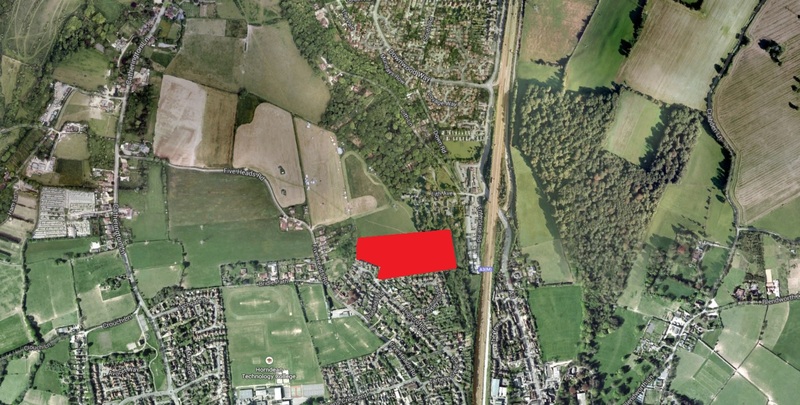 We wish to place on record our views regarding the application that Taylor Wimpey are looking at making for the land at Chalk Hill Road in Horndean. We do not feel that this site is suitable for the proposed development on the following grounds…. A. We understand that the land concerned is, for the most part, in an area considered important for retaining the individual status of Horndean and Catherington. This land is in Catherington Parish. We thought that unless it was absolutely necessary or could be considered essential it would not be developed especially to this scale. We contend that in view of the proposed development of 700 dwellings at the land east of Horndean, leading onto the Havant Road, this cannot be considered either necessary or essential. We have attended all the meetings relevant to the latter site and feel that it will satisfactorily meet all the development needs of Horndean including the needs of the people who will be living there from a social point of view. B. There is already a dangerous level of traffic in Fiveheads Road due to the location of Horndean First and Primary schools at one end and Kings Court School at the other. In addition to this many cars use Five Heads Road and Queens Crescent to drop off and collect their children from Horndean Technology College and the Children’s Nursery held in the Scout Hut. Durland Road is frequently reduced to a single lane due to the parking of cars belonging to those who work in the residential home for young at No 7. C. The land is in an elevated position and has extensive views across to Portsdown Hill and the Isle of Wight, to Langstone and to Hayling Island as well as to Catherington Church, which is 11th Century church with an active congregation. D. The site map shows a very condensed layout including three storey buildings. This is not at all in keeping with the current housing in the area and would be completely out of place adjacent to Catherington Lith, which is a treasured haven for wildlife and woodland. We would urge you to vote against this development in the interests of the villages which surround it. Once lost it can never be regained. I was very proud to see so many people at the get together at Chalk Hill Road last Wednesday. A little while ago 8/9/14 someone commented that the pony group had been given eight weeks notice to leave the field. I would just like to set the record straight. Pony Mad Hackers have NOT been asked to leave the field yet. When/if we are asked to leave I shall leave a comment to say so. Hope to see you at the meeting on 23/9. It was claimed at the gathering the other eve that the traffic survey was carried out mid day, if this is the case it is totally going to be a misguided survey they need to survey during 8.00-9.00 and 2.45-3.45pm to get a true sense of the shear amount of traffic that head to and from Horndean Infants and Juniors Horndean tech college and also the private school Kings Court. Not forgetting the already increased traffic from the recently built houses along five heads already in the past years, you’ve also got the football club which is used regularly along five heads amongst others, the survey will not be true and should be thrown out. As for the ear marked field it does suffer greatly during the wet months and winter becoming extremely wet soggy underfoot and very boggy in places ( you wouldn’t think looking at it now ) all the walkers and school children are forever coming home from their SAFE walking route to school with shoes covered in mud and their trousers wiping it on grass and walls. The water also runs off the field onto Lith lane and down Lith Avenue onto A3 which contributes to the huge floods that occurs under the flyover in Horndean. It is not a suitable site for building.